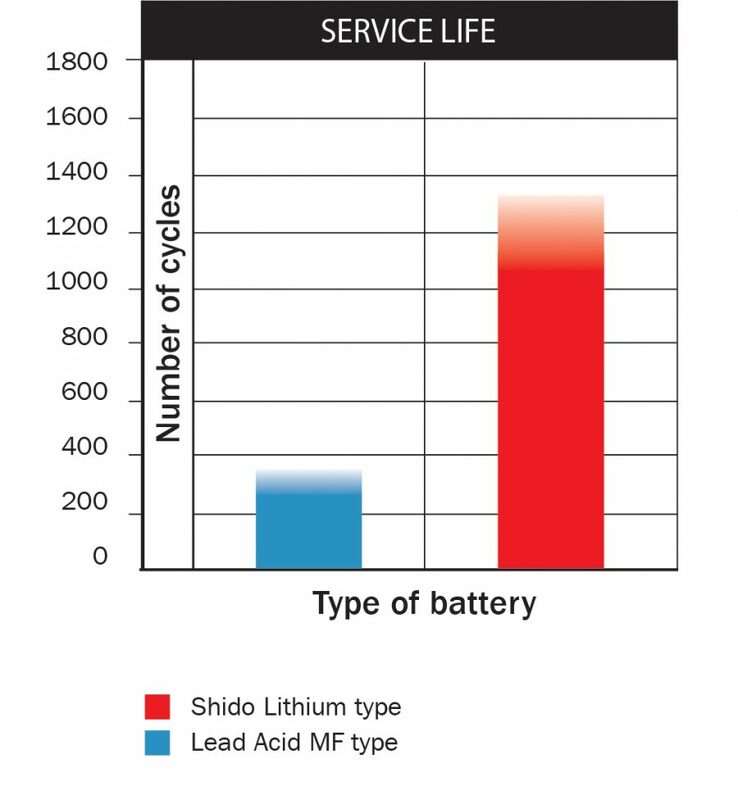 The service life of a battery is determined by the number of charge and discharge cycles. 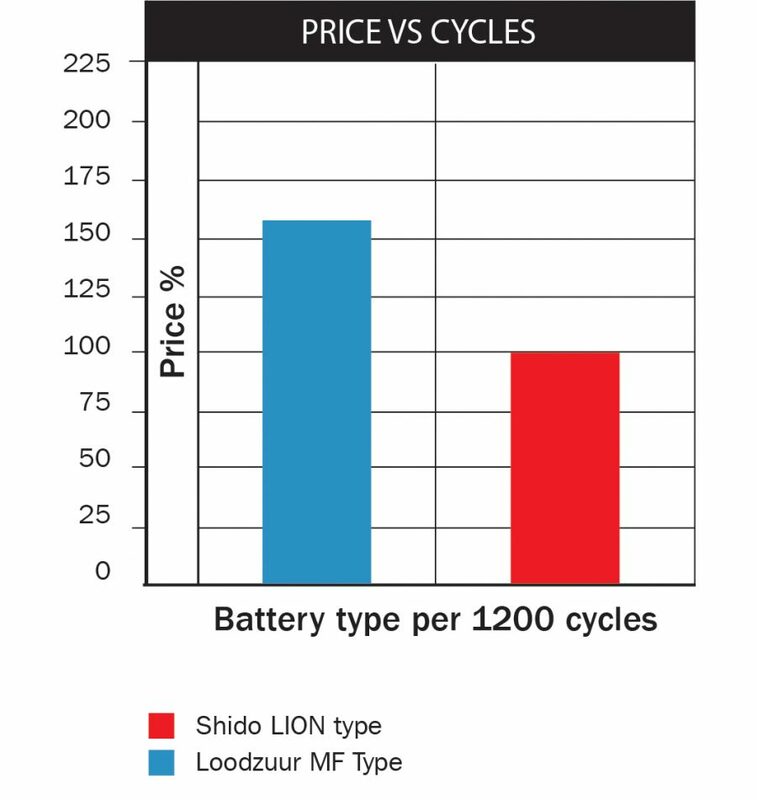 This is approximately 350 cycles for lead-acid batteries and about 1200 cycles for Shido Lithium (25% DOD or depth of discharge). Over its entire lifetime a Lithium battery shows to be economical, in average about 2/3 the price of a lead-acid battery.